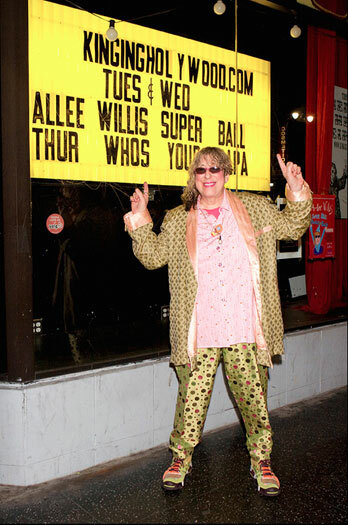 Allee Willis Blog » Blog Archive » Allee Willis’ Kitsch O’ the Day – A zillion trillion PHOTOS from my sold out Super Ball Bounce Back Review concerts!! 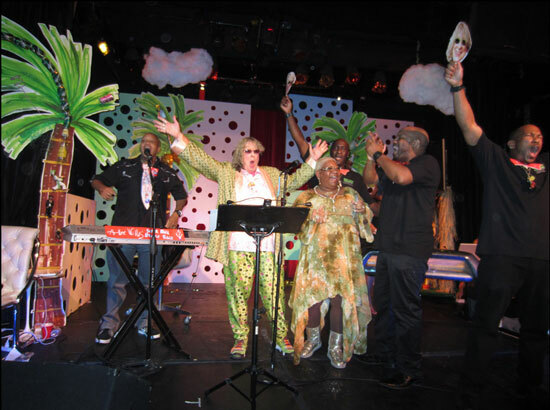 On May 8 and 9, 2012 I had one of the greatest experiences of my career performing my Super Ball Bounce Back Review at King King in Hollywood. 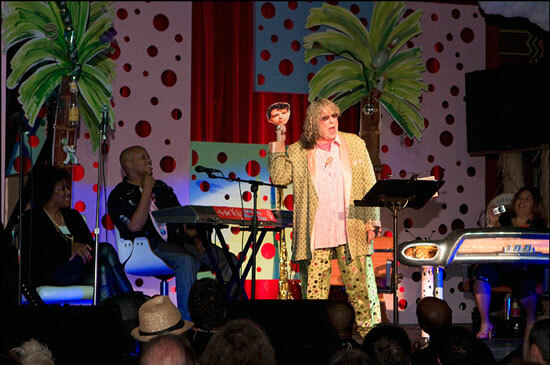 It not only was only the second and third performances I’d done since jumping off the stage in the middle of my own show in 1974, but was an attempted – and I’m happy to say TOTALLY TRIUMPHANT – comeback after one of the worst experiences of my career seven months before when 90% of the technology my first attempted comeback show was dependent on failed. But I knew that I had to get back up and practice what I preach: From some of the worst situations come the greatest miracles and I had proven to myself time and time again that, if nothing else, I was someone who had the courage to make lemonade out of big, fat lemons. So I’m happy to report that I have risen from the ashes and had two of the greatest nights of my life bouncing back as a performer in a major way. I can’t thank everyone who came enough. And I can’t thank everyone who worked with me on the show enough. So I leave you with a whole lotta photos from both nights, videos to come and a big, loud Badeya-say-do-you-remember there never has to be a cloudy day as long as you have sunshine inside. 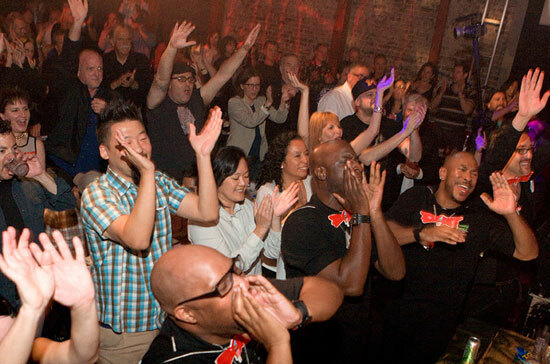 ENOY THE SHOW! !